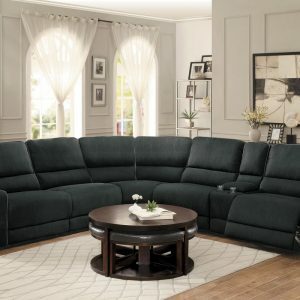 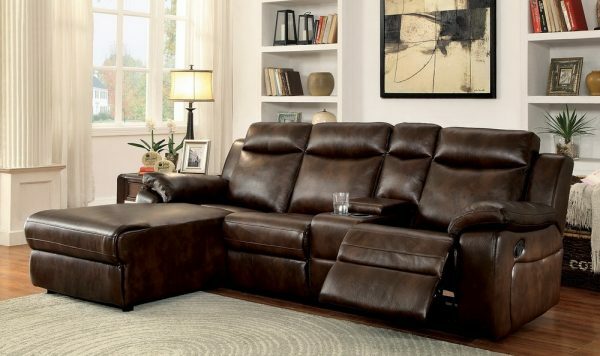 Bask in the alluring comfort of this corner sectional and feel the day’s troubles and worries drift away. 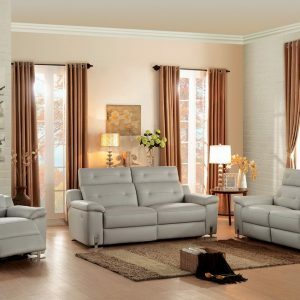 Flip up the footstools and recline to find the perfect position for relaxation, or stretch out on the leatherette upholstered chaise for a quick catnap. The convenient center console features a dual cup holder and storage compartment to help store everything you need to make your living room your sanctuary.